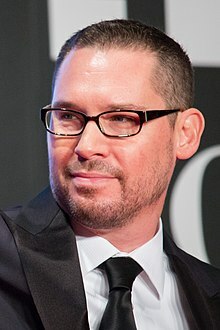 Bryan Jay Singer (born September 17, 1965) is an American director, producer and writer of film and television. He is the founder of Bad Hat Harry Productions and has produced or co-produced almost all of the films he has directed. Singer wrote and directed his first film in 1988 after graduating from a university. His film, Public Access (1993), was a co-winner of the Grand Jury Prize at the 1993 Sundance Film Festival. In the mid-1990s, Singer received critical acclaim for directing the neo-noir crime thriller The Usual Suspects (1995), which starred Gabriel Byrne, Kevin Spacey, Stephen Baldwin, and Benicio del Toro. You just have to trust your instincts and hope that if someone doesn't like your idea, you can prove them wrong in the final process. In the end, you can please some of the people some of the time, but that's about all you can do. Kubrick showed us something special. Every film was a challenge, and a direct assault on cinema's conventions. We don't live in the world of reality, we live in the world of how we perceive reality. Once I start something, I always finish it. They had been trying to get X-Men made for 30 years and they thought maybe if I got involved, it might actually happen. I'm actually part of a number of minorities. I grew up being a horribly awkward kid. A terrible student. And now I find myself as a filmmaker, and you feel kind of alone in the world because you're separate from everyone else. I love filmmaking, and I love the process. And I would rather do nothing else. It's a privilege to be able to paint such big pictures, so to speak. 'Superman' has always been about Lois Lane, Superman and Clark Kent and this love triangle between these three people who really are only two people. I know it's hard to blame the time, but there's a bit of an expectation for a summer movie. I think that 'Superman Returns' was a bit nostalgic and romantic, and I don't think that was what people were expecting, especially in the summer. There's no point in making films unless you intend to show us something special, otherwise just go out and watch a play. I started making 8mm films when I was 13, so I've been directing for 21 years.